Steve Lesser (Greensboro): Standup, Improv, & Sketch – when it comes to comedy Steve does ‘em all. With over 4000 performances, from Las Vegas to Dublin, Steve calls NC home where he performs regularly at the Idiot Box Comedy Club, which he owned and founded. He’s also a producer of the Ultimate Comic Challenge and the NC Comedy Festival. Joe Kelley (Atlanta): Joe is an Atlanta based comedian. He is frequently on the road and performs all over the country at clubs, colleges, bars… pretty much anywhere with a stage. Joe has a unique perspective on life, combined with a mid-western charm that makes audiences love him and comfortable with opening up to different ideas. He was apart of Atlanta’s Laughing Skull Comedy Festival and Red Clay Comedy Festival in 2018 and The Mutiny Radio Comedy festival in San Fransisco. Joe was a featured performer on The Broken Record Show in 2015 and 2016 as part of The Wild West Comedy Festival. Joe shared the stage with Tom Segura, Iliza Shlesinger, Ralphie May, Theo Von, Dan Soder, Ali Saddiq, Mary Lynn Rajskub, Robert Kelly, Ron Funches, and many others. Zo Myers (Winston-Salem): Zo is a stand-up comedian out of Winston-Salem, NC who lives by the motto, “When in doubt, overshare.” Always a crowd pleaser – when it comes to making audiences laugh, Zo knows comedy. Brandon Mitchell (Philadelphia): Brandon is a Philadelphia based comedian from Norristown, PA. He performs at Punchline Philly, Helium Comedy Club, Good Good Comedy Theatre, and Philly Improv Theater. He’s also a creator of Black History Monthly, a diverse based variety showcase that was staged at Helium Comedy Club, Philly Improv Theater, and was accepted into He’ll Yes Fest in New Orleans. Brandon is a two time semifinalist at Philly’s Phunniest at Helium Comedy Club. Brandon also got accepted into DC Comedy Festival, Baltimore Comedy Festival, Charm City Comedy Festival and Diverse AF Comedy Festival in New York. Mike Horn (Raleigh): Mike is a Raleigh-based comic that performs all over North Carolina, sharing his experiences growing up with a gay mom, losing over 200 pounds, and struggling to become a better person. Mark Brady (Raleigh): Mark won NCs funniest at Goodnights comedy club in Raleigh NC. He has opened for acts such as Nate Bargatze, Tom Segura, Donnell Rawlings and Bruce Bruce. Wendy Steiner (Brooklyn): Wendy is a Brooklyn-based Jewpanese comic. While the Los Angeles suburbs raised her, living in San Francisco and New York really aged her. Her comedic style can be described as dry warmth, which would really make more sense if she was from Arizona. She’s a set-up-punchline-kind-of-gal with a Berkeley-educated sense of privilege and half-white guilt. Wendy’s got a pretty sweet day job at Refinery29 and runs Weird But Nice Comedy Show at Halyards in Gowanus, where she tries to make free shows fun again, and brings snacks for everyone. Ruby Bell (San Francisco): Ruby has a wide range of comedy experiences, including Saved By the Bell’s Dustin Diamond Roast, 16th annual SF Sketchfest, 4th annual Santa Cruz Comedy Festival, 3rd Annual Wine Country Comedy Fest. Harper-Rose Drummond (Los Angeles): Harper-Rose spent most of her life in Charlotte, NC until moving to Los Angeles, CA to pursue stand up comedy. In 2018 alone, she completed a central Wisconsin comedy tour, appeared on 2 episodes of TruTv’s Laff Tracks, performed at one of Southern California’s largest venues The Hollywood Palladium, started her own show The Last Voicemail, has become a staple in the alt scene community and featured at the Big Fire Comedy Festival. Drummond’s comedy style is animated, innocent yet simultaneously edgy. Wills Maxwell Jr. (Wilmington): Wills started doing stand-up comedy when he was in 4th grade. His teacher didn’t appreciate him interrupting the class and his parents didn’t appreciate him getting in trouble. Due to the lack of appreciation, Wills retired from the business and started doing stand-up comedy again after he left high school. Wills hosted Wilmington, North Carolina’s Late Night Talk Show “Late Fear with Wills Maxwell” He can be seen every Thursday morning on WWAY with his comedy news segment “What Did We Miss?” He has performed at the Cola Comedy Convention, The North Carolina Comedy Festival and was a semifinalist in StandUp NBC 2018. Lucas Gumbrecht (Burlington): Lucas is a folicly (and autoimmunely) challenged comic out of Burlington North Carolina. Enjoys absurdities in his life and talking about embarrassment. 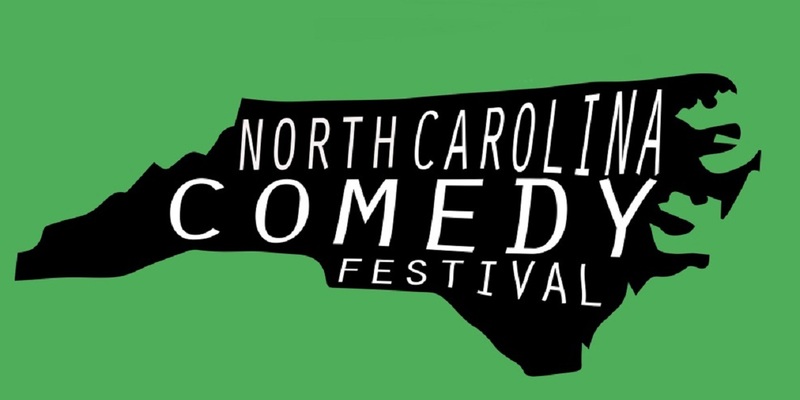 Lucas has performed in the North Carolina Comedy Festival, hosted for Mo Alexander, opened for Dusty Slay and Andy Woodhull to name a few. Andy Forrester (Raleigh): Andy Forrester’s brand of off the wall humor has made him a fan favorite at clubs everywhere since 1999. Over the years his high energy and animated comedy has landed him spots working with some of the biggest names in comedy like Louie Anderson, Kevin Pollak, Jimmie “JJ” Walker, Marc Maron and many more. It’s his original and appetizing humor that always leaves audiences begging for more. His likeable, self-deprecating, fun and easy going style is friendly to everyone as he walks you through the mind and life of the man many call BiG”A”. Family, movies, his love for food, and living with his two little girls is a treat for everyone to hear about the crazy life of this family man. In 2008 Andy won the title of Ultimate Comic at the Idiot Box in Greensboro, NC. April of 2013 he won the Louisville, KY satellite of the World Series of Comedy, and was part of the Laugh Your Asheville Off Festival that same year. In 2014 he was chosen to participate in the Laughing Skull Comedy Festival. He is the host of the “Eating It” podcast along with comedian David Tobey, and filmed his first TV spot as part of the PureFlix Comedy All-Stars program, debuting in 2017. In 2018 he filmed something special with legendary comedian Killer Beaz in Nashville, TN at Zanies as part of the brand new TheComedyBuzz.com.